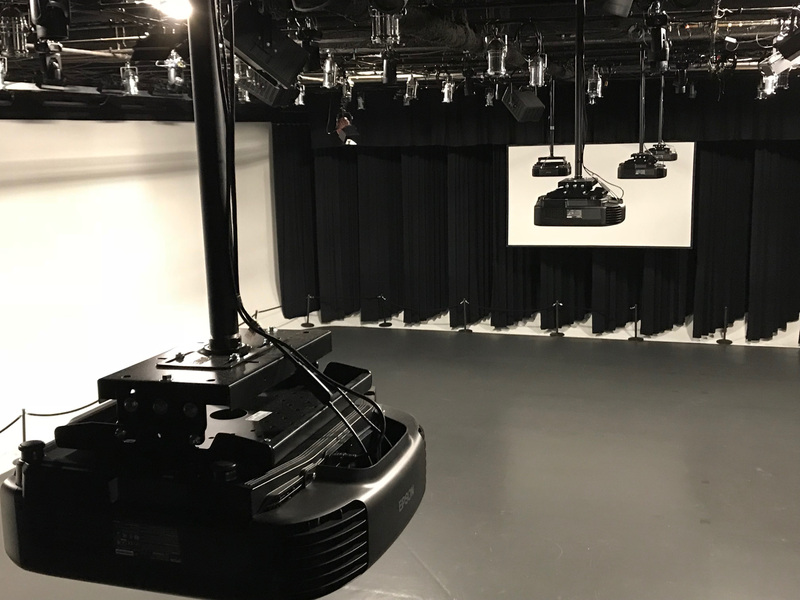 (NEW Laser Projectors) SOUNDSTAGE A Cinema Display Screens consists of 10 permanently installed EPSON Large Venue Pro L1405U Laser Projectors w/ 4K Enhancement. Delivering 8,000 lumens of color brightness and 8,000 lumens of white brightness with a laser light engine for powerful, uncompromising images. Additional 14' screens and large 60" monitors available on request for special locations in studios. Please DO NOT design your slides or videos with a WHITE background. When providing custom content to be displayed, AVOID 100% bright white backgrounds in slides, 30% white works well, (if you have to). The projectors are so powerfull, white deteriorates the room ambience and overall lighting effects. 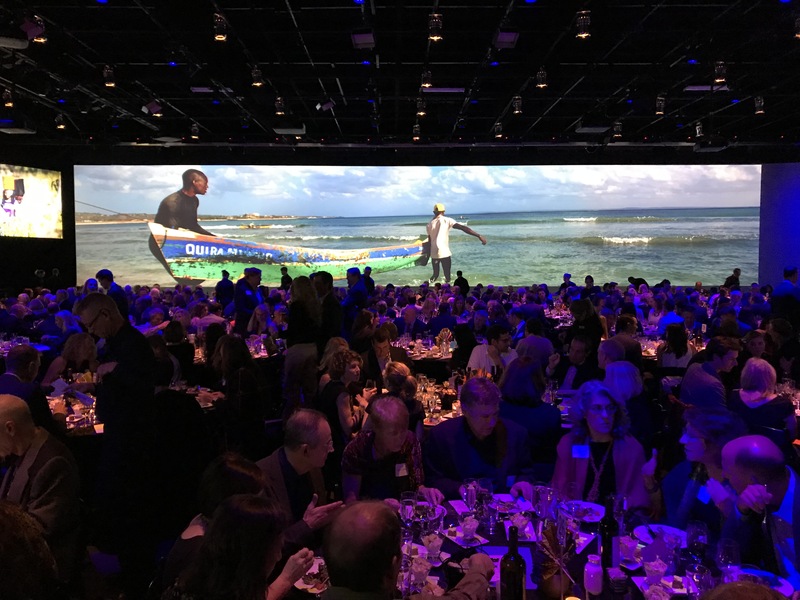 This is a custom sized Panoramic Cinema Screen, (Cyclorama), it is unique to the film/ photrography industry available only at Fremont Studios. For return customers please check Cyclorama NEW image sizing. VIDEO FILES need to be delivered as 1080P .mov or .mp4, H.264 codec, 6784 x 1200 aspect ratio. STILL IMAGE FILES as JPEG - RGB color profile, 6784 x 1200 aspect ratio. STILL IMAGE FILES should be delivered in 1920x1080 as JPEG, RGB color profile. VIDEO MOVIE FILES should also be delivered in 1920X1080 as QuickTime .mov or .mp4, H.264 codec. POWERPOINT presentations should be delivered in a 16:9 aspect ratio (not 4:3). No embedded effects. (we will convert PP files to JPEG for our server system.) If embedded effects are used - customer will need to supply the computer for playback. Additional playback sources maybe required for independent content. All video distribution is HDSDI and/or Fiber. CAMERAS (4) - Panasonic HPX - 600 2/3" CMOS 1080i HDSDI and Wireless.